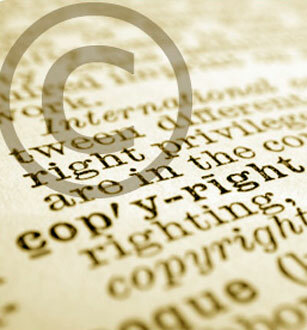 Yesterday we told you about the World IP Day. Today we want to show you the importance of intellectual property intensive industries. As the United States Patent and Trademark Office announced in a press release according to a comprehensive report of the U.S. Commerce Department entitled “Intellectual Property and the U.S. Economy: Industries in Focus,” intellectual property (IP)-intensive industries support at least 40 million jobs and contribute more than $5 trillion dollars to, or 34.8 percent of, U.S. gross domestic product (GDP). While IP is used in virtually every segment of the U.S. economy, the report identifies the 75 industries that use patent, copyright, or trademark protections most extensively. These “IP-intensive industries” are the source – directly or indirectly – of 40 million jobs. That’s more than a quarter of all the jobs in this country. Some of the most IP-intensive industries include: Computer and peripheral equipment, audio and video equipment manufacturing, newspaper and book publishers, Pharmaceutical and medicines, Semiconductor and other electronic components, and the Medical equipment space. • IP-intensive industries contributed $5.06 trillion to the U.S. economy or 34.8 percent of GDP in 2010. • 40 million jobs, or 27.7 percent of all jobs, were directly or indirectly attributable to the most IP-intensive industries in 2010. • Between 2010 and 2011, the economic recovery led to a 1.6 percent increase in direct employment in IP-intensive industries, faster than the 1.0 percent growth in non-IP-intensive industries. • Merchandise exports of IP-intensive industries totaled $775 billion in 2010, accounting for 60.7 percent of total U.S. merchandise exports. On the road again… We just returned from the Ambiente in Frankfurt, Germany and now we are heading to the next important fair – the Creativ Salzburg, an international trade fair for gifts, home accessories, design- and lifestyle articles! It´s the industries number one ordering event for gifts, habitat accessories and lifestyle items in Austria. From this Friday until Sunday (02. – 04. March) retailers can visit the Inventor Shop-team at the Salzburg Exhibition Centre in hall number 10, stand 712 . On Friday and Saturday from 9 am until 6 pm, and on Sunday until 5 pm. At our stand trade visitors will find creative new products from all over the world such as the Tea Fishing from Korea or the Bunjee from the United Kingdom for which we have the exclusive distribution rights in Germany. Interested? Just stop by! We look forward to meet you. Do you know that some of the world´s most popular inventions were created by African-Americans? In honor of Black History Month Inventors Digest is currently celebrating the valuable contributions of famous black inventors. 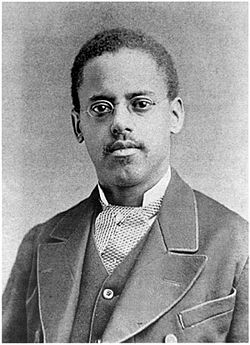 As an example the magazine names Lewis Howard Latimer. In 1874, he copatented (with Charles W. Brown) an improved toilet system for railroad cars. In 1881 Latimer received another patent for the „Process of Manufacturing Carbons“, an improved method for the production of carbon filaments used in lightbulbs. We want to introduce you another important African-American inventor – Garrett Morgan. He created a Safety Hood and 1914 patented it as a Breathing Device, which later came to be known as the Gas Mask. Morgan’s Gas Mask consisted of a hood with two long tubes, one allowing in clean air and the other allowing the user to exhale air out of the hood. After witnessing a collision between an automobile and a horse-drawn carriage, Morgan also took his turn at inventing a traffic signal. As you can read on about.com the Morgan traffic signal was a T-shaped pole unit that featured three positions: Stop, Go and an all-directional stop position. This „third position“ halted traffic in all directions to allow pedestrians to cross streets more safely. Do you want to know who invented the elevator, the lawn mower or the refrigerator. Here you find a list of other important African-American inventors. Check it out!